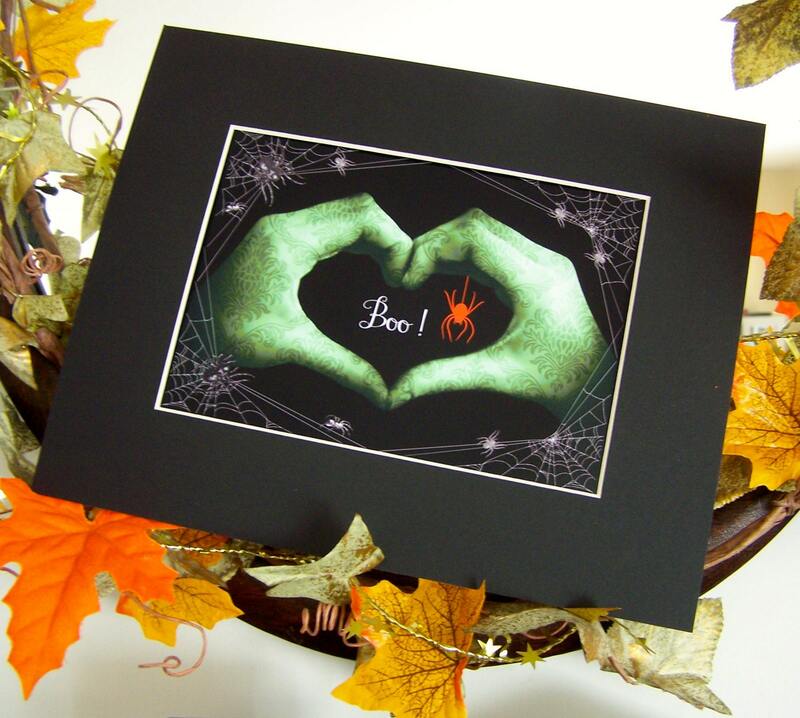 HALLOWEEN Green Sign Language Heart Hands Matted Print - BOO to YOU! seeming to be a ghostly apparition emerging from the cobwebs. 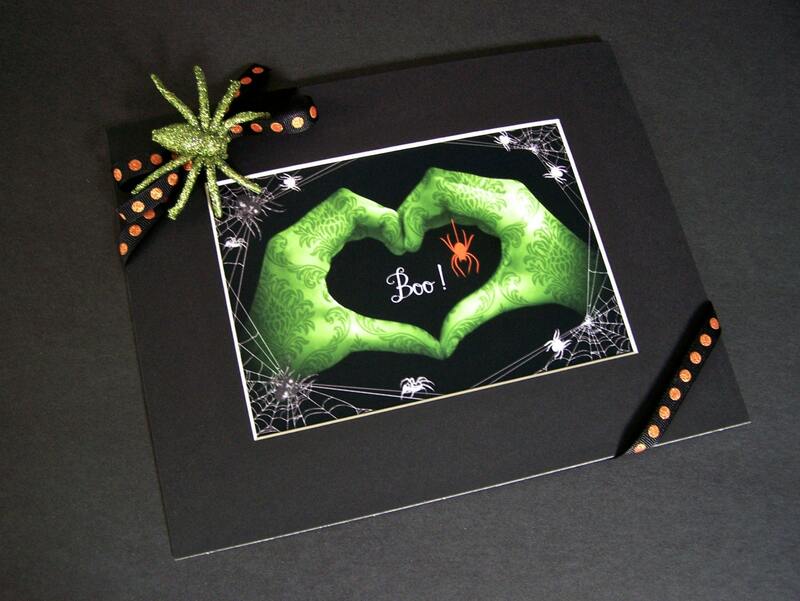 or gifting by simply dressing up with a festive ribbon and frightful spider! Ready for gifting ~ or to grace your own haunted house! Shipped via USPS First Class Mail with Tracking. 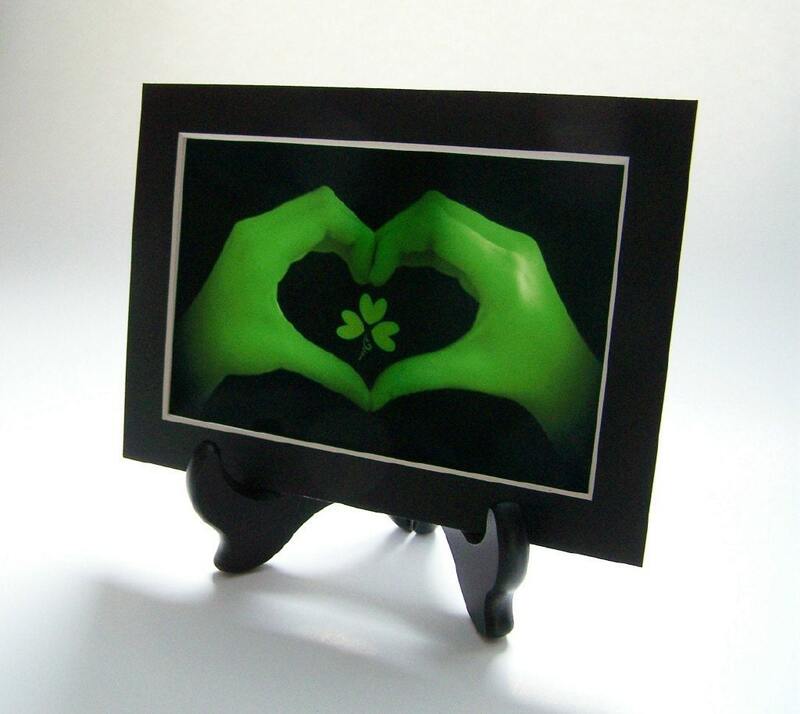 I bought this for my Nanny May (Mary May) for a Halloween decoration. Thank you so much Emily!